Vacation rental townhouse. Sleeps 8, 4 bedrooms, 3.5 bathrooms. No pets allowed. 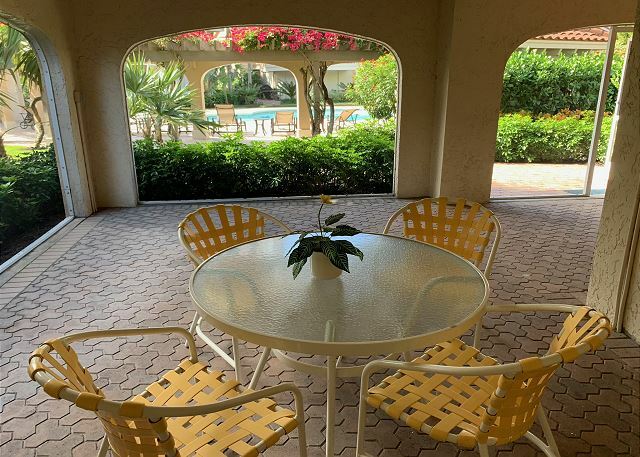 If you don't want to sacrifice space for location, you've found your seasonal home at Villa Mare! 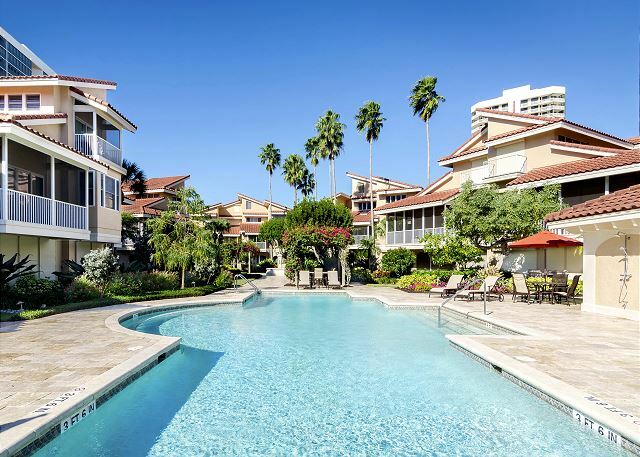 The Villa Mare community is a gated enclave of 27 contemporary townhouses set directly on the beach in the Park Shore neighborhood of Naples. 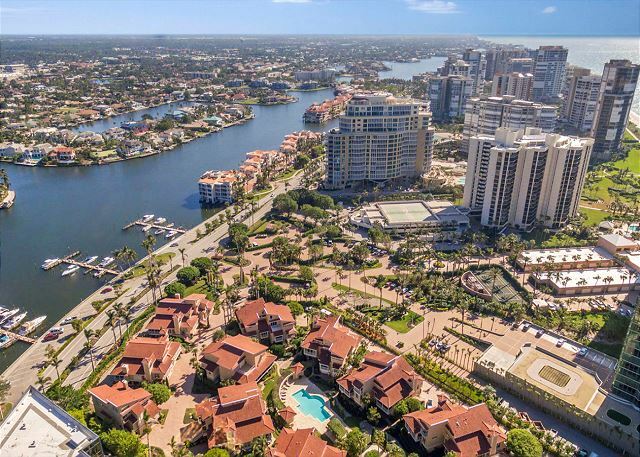 Walking distance to the Village on Venetian Bay, offering fabulous shopping and dining, and with a heated courtyard pool, private beach access path AND a boat dock on Venetian Bay, this residence offers the waterfront and beachfront lifestyle that has put Naples on the map. The home itself spans 3 light filled floors connected by an elevator. Enter from the ground level into your private 2-car garage, then into the under-air landing area and laundry room. 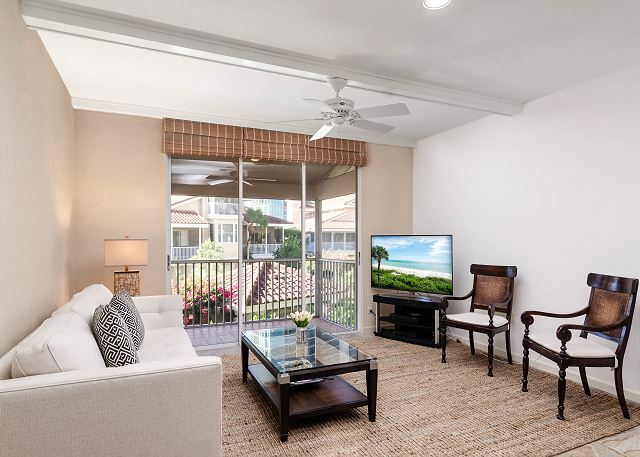 A door leads out to your massive private screened lanai and the community pool area beyond. Up on the second floor you have your formal entry, living room, dining room, kitchen, den, powder room and master suite. The third level has 3 guest bedrooms (one with an en suite bath and a loft) and a full bath off the hallway. All bedrooms, the living room and den have private balconies for enjoying the lush views and balmy sea breezes. 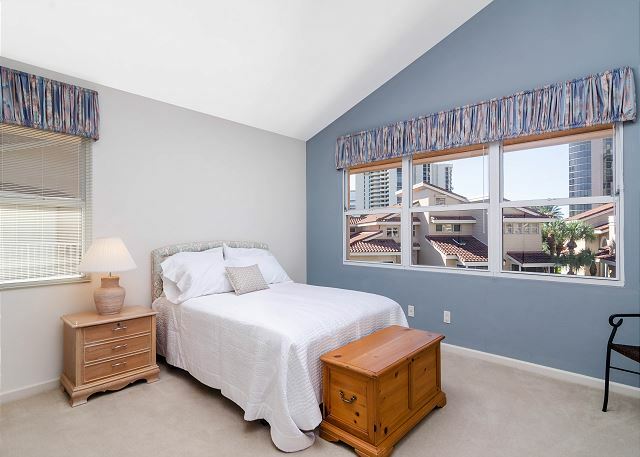 Your whole family can truly live in comfort here, right on Park Shore beach! 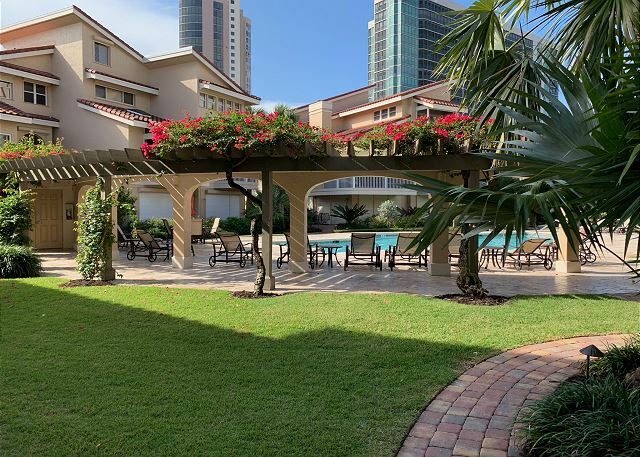 *This property requires a lease application form be completed and approved by the HOA prior to final confirmation of your dates. There is a $250 fee due to the HOA for this, which IS included in your price quote.